Now that spring and spring weather are finally here, it would be a good time for the kids to explore and learn about FROGS and do some fun frog activities. This 1st activity will be fun and help kids practice some important math skills - telling time. To make the paper plate clock you will need a few inexpensive supplies. You could use a color paper plate to start or the kids could pick a paint color and paint a white plate. Next have the kids write the clock numbers (1-12) on the stickers and possibly add a colored border or a few decorations to the plate. Have students place the number stickers on the appropriate spots on the paper plate. 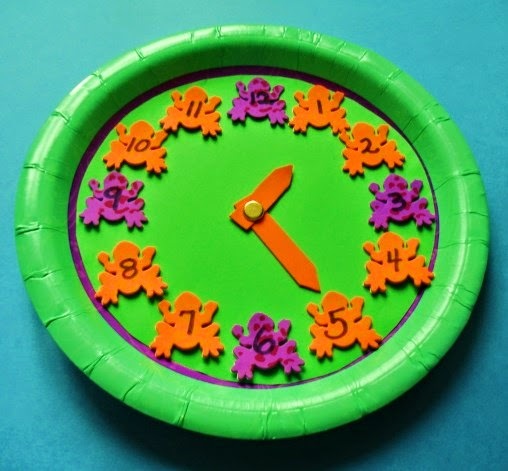 An adult should cut out 2 clock hands and place them in the middle of the paper plate with a brass fastener. 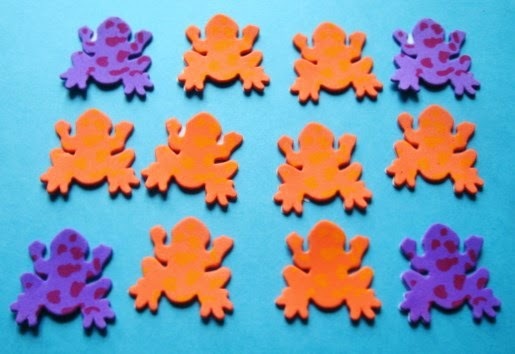 Here are a few more fun frog activities. Just click on the links to go to the pages! Here are ideas for making other fun paper plate clocks!